Maryland's Board of Public Works just approved nearly $50 million to buy slot machines for a soon-to-open casino in Cecil County. Maryland’s Board of Public Works just approved nearly $50 million to buy slot machines for a soon-to-open casino in Cecil County. 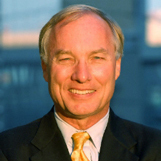 Comptroller Peter Franchot voted against the expenditure, and he joins us to discuss why he thinks the purchase is a bad use of state money.